[caption id="attachment_27723" align="alignleft" width="640"] All photos by Sebastian Bouknight[/caption] This past Friday, Feb. 19, a few hundred feet from the hullabaloo of Times Square, Manhattan’s historic Town Hall venue overflowed with feelings of peace, positivity and hope. 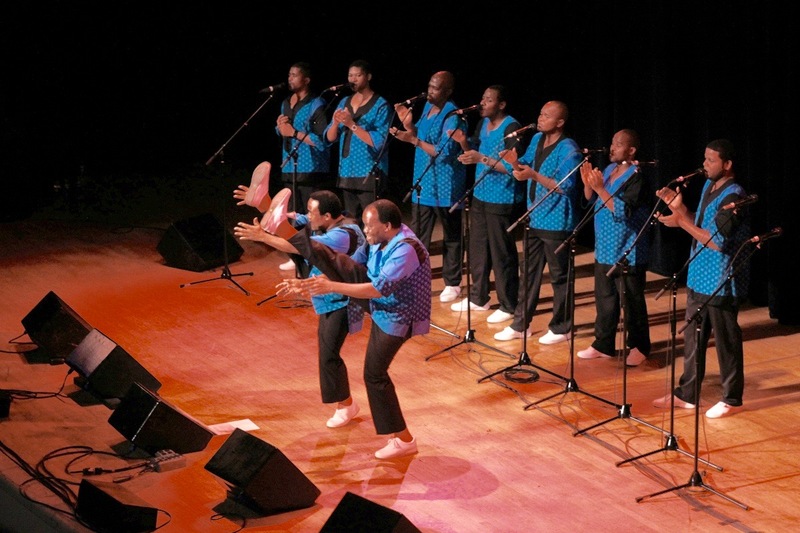 Presiding over the hall was the legendary South African group Ladysmith Black Mambazo, filling the space with their rich harmonies, humor and buoyant, glowing energy. They stood comfortably in the history of the venue, on a stage once graced by the powerful personas of Paul Robeson, Eleanor Roosevelt and Nina Simone. This year marks the 30th anniversary of the release of Graceland, the Grammy award-winning album they created with singer Paul Simon–an album that carried the joyous spirit of the group beyond southern Africa and into hearts worldwide. Since Graceland, the group has won four of their 14 Grammy nominations, accompanied Nelson Mandela to receive his Nobel Peace Prize, and collaborated with musicians across the globe. 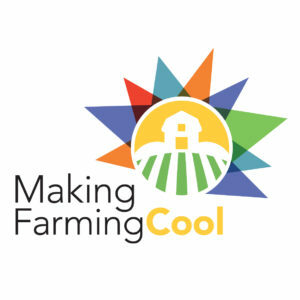 Founding member Joseph Shabalala has since retired, passing the art of song and story on to four of his sons, who now lead the group of nine, all of whom are related in some way. Other than the anchor of senior member Albert Mazibuko, the roster is all new since its genesis in the mid ‘60s, but their music and message has stayed constant. They sing their own brand of the Zulu musical style isicathamiya (meaning “treading carefully”), which is said to have originated in weekend singing competitions amongst the migrant mine workers in South Africa. It is music of resilience and hope in the face of hardship, of both playfulness and dignity. 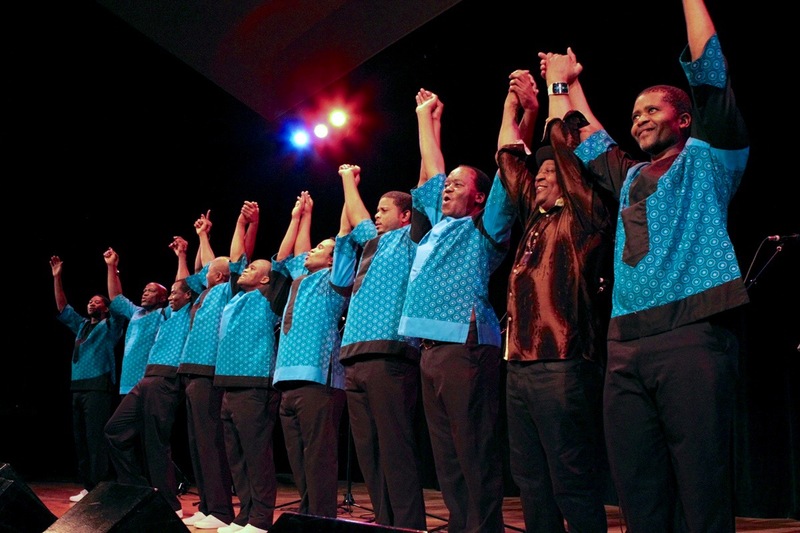 Ladysmith Black Mambazo’s performance brimmed with these sentiments. [caption id="attachment_27720" align="alignleft" width="297"] Samite with litungu[/caption] Before they took the stage, the show opened with the singer and multi-instrumentalist Samite, hailing from Uganda via Ithaca, NY, coming to the United States in the ‘80s as a refugee. 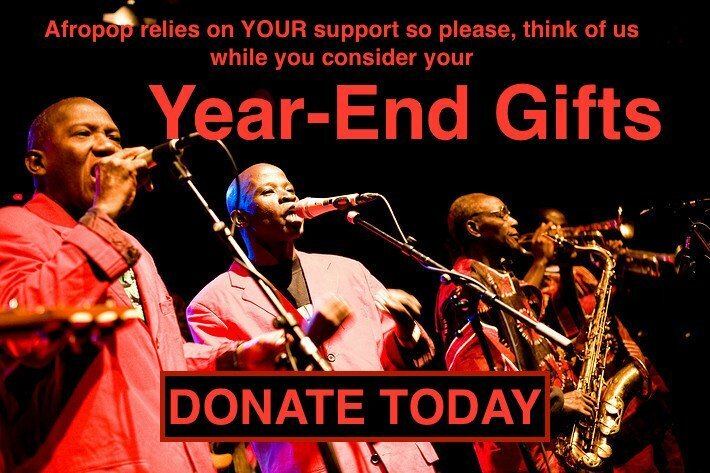 A founder of nonprofit group Musicians for World Harmony, Samite shares Ladysmith Black Mambazo’s grace, humor and uplifting spirit. His performance was tender and intimate, shaping the spacious hall into a comfortable living room shared with an old friend. 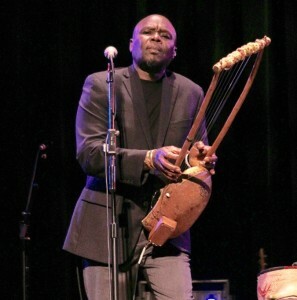 Samite sang of his daughter, elder Ugandan musicians, and the vegetarian dogs of Ithaca, accompanying himself on litungu (an Ugandan lute) and a kalimba, whose plucked steel reverberated beautifully through the space like heavy water droplets falling in a cave. His voice glowed warmest during his closing song, “Ndere,” in which he looped his own voice to sing lilting, lulling harmonies. [caption id="attachment_27721" align="alignleft" width="600"] Bakithi Kumalo and group[/caption] Next on the stage was a seemingly impromptu trio led by South African bassist Bakithi Kumalo, joined by Morris Goldberg on winds and Nanny Assis on percussion. 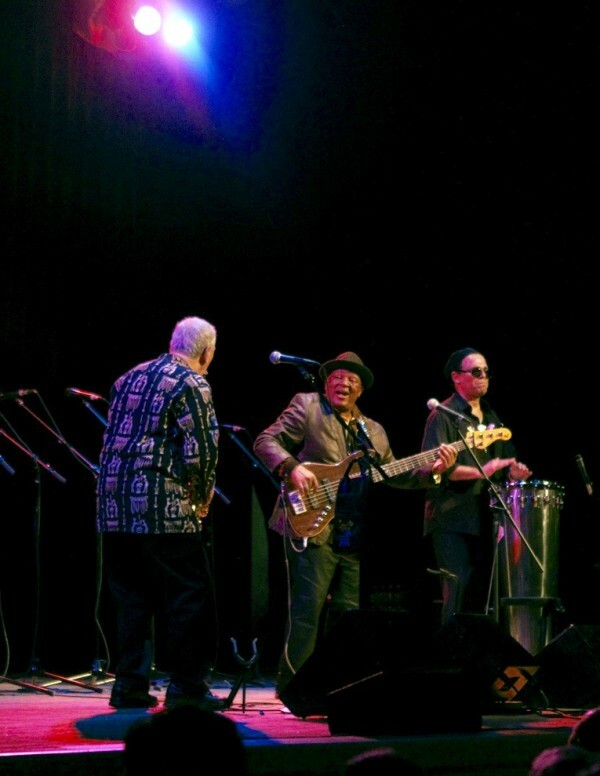 Kumalo’s bass, which has accompanied Paul Simon, Chaka Khan and others, certainly dominated the sound of the set, which contributed more to the night in spirit than in musical cohesiveness. The trio had fun, jumping from a classic South African song to a pandeiro solo to an improvised smooth, funky jazz groove. Although the group might have benefited from a fuller instrumentation and a smaller, rowdier venue, they expressed the playful energy of the night. Ladysmith Black Mambazo took the stage almost like a troupe of acrobats in matching uniforms, running, stretching and waving to the audience. The youngest Shabalala brother, Thamsanqa, took the lead mic, a role he held for many of the songs, carrying melodies with his sweet and gentle tenor. It was clear from the first chord, flowing out into the audience like an unhurried wave, how incredibly polished and powerful the group is. The blend of their voices was warm honey, and their harmonies as rich. Flowing through most songs were steadfast, harmonious rhythmic phrases, usually sung by the basses, embellished upon by whoever was singing lead. The atmosphere this created was entrancing, punctuated by their signature movements. Beginning with nine fingers raised in synchrony, they started small and simple and grew in intensity as they warmed up the hall. Their bodies were limbs of their voices, adding a physical dimension to their harmonies and accenting their dynamics, contrasting movement with serene stillness. As much athletes, dancers, comedians and actors as singers, they leaped in the air, high-kicked, stomped their feet, danced in ways that made the mics instruments themselves, moving their bodies to change the volume of their voices. Physical comedy played a big role, with acted-out scenes, overstated facial expressions and some serious hip gyrations on the part of Thamsanqa Shabalala. Their songs told stories: of a man in a city searching for the peace of the country, of their journey to Oslo with Nelson Mandela, of the struggles of apartheid and of working in the mines. In the middle of the set, they graced the audience with a gorgeous delivery of both “Diamonds on the Soles of Her Shoes” and “Homeless,” two songs from Graceland (no Paul Simon this night). No matter what the subject matter, their voices lifted up, embodying words used by Albert Mazibuko at the start of the set: “We never lose hope.” For an imprisoned Nelson Mandela, Ladysmith Black Mambazo’s music provided the strength and optimism he needed to make it through that period of darkness. The positivity of their music was accompanied by joking banter between songs and the warmth with which they interacted with each other. The night ended with an encore, Bakithi Kumalo joining the singers for the much-loved Zimbabwean song “Shosholoza.” From their origins as a few auto mechanic cousins from Ladysmith, South Africa, to the stage of The Town Hall, Ladysmith Black Mambazo has sung hope, peace, joy into the world as few others can. Their good-hearted spirit and stunning performance this Friday was the most refreshing breath of air one could hope for. Their most recent release, the Grammy-nominated Music From Inala: A Zulu Ballet, is a collaboration with British musician Ella Spira, and is definitely worth a listen.